Making firewood is now easier than ever! 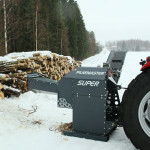 Pilkemaster Super is an automatic firewood processor featuring a cutting blade. All you have to do is place the end of a log onto the feed rollers and let the machine do the rest. 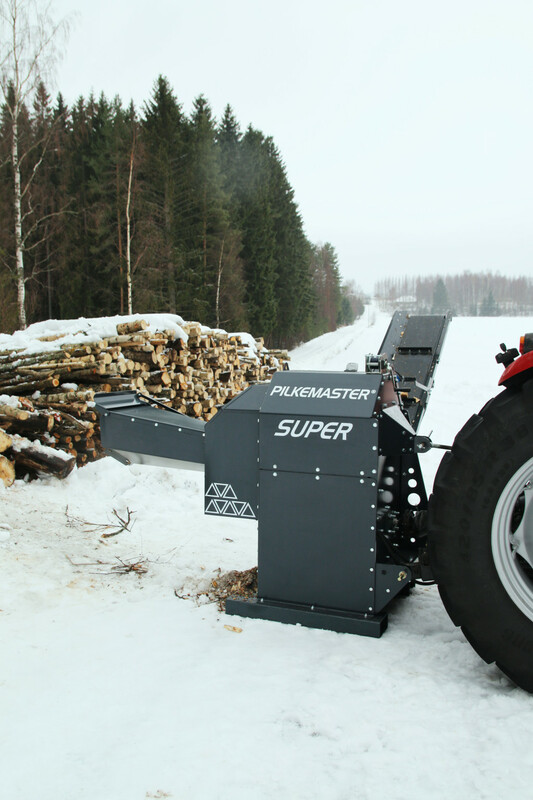 The device cuts, splits and carries the firewood directly onto your trailer. The robust and wide conveyor with debris removal can be easily adjusted to any angle. The logs can be up to 20 cm thick, and the length (max. 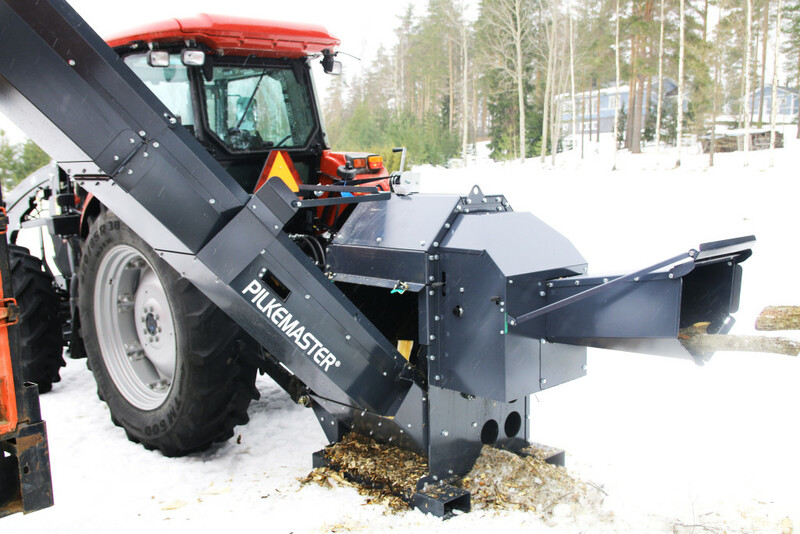 50 cm) of the finished firewood is effortlessly adjustable with a hydraulic control valve. The cutting blade makes a clean cut, and the logs are split from the middle without putting too much strain on the tractor. 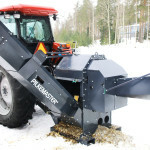 The feed rollers have enough capacity to convey even the largest of logs into the machine. The rollers feature emergency stop and reverse functions. The feed opening is at just the right height in terms of ergonomics. You won’t find an easier way to make firewood!